Our own Cruising The Past video featuring the Alaska Steamship Line and their flagship SS ALASKA. Sailing to the Inside Passage and into northern waters during the 1950s. Clips from family films along with documentaries on this famous American flag carrier. The Alaska Steamship Company was formed on August 3, 1894. Charles Peabody, one of the six founding members, served as president of the company from its creation until 1912. While it originally set out to ship passengers and fishing products, the Alaska Steamship Company began shipping mining equipment, dog sleds, and cattle at the outbreak of the Klondike Gold Rush of 1897. In 1898, the Puget Sound Navigation Company was formed as a subsidiary, serving as means of putting the Alaska Steamship Company’s more obsolete vessels to use in the Puget Sound routes. The Alaska Steamship Company was purchased by the Alaska Syndicate and merged with the Northwestern Steamship Company in 1909. 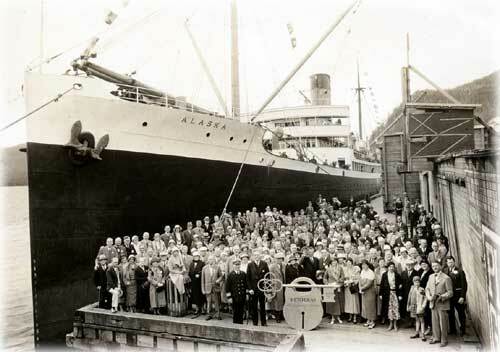 The Alaska Steamship Company retained its name through the merger, and the fleet was expanded to 18 ships. The company greatly benefitted from the Merchant Marine Act of 1920, which forced two Canadian shipping companies out of the Alaska market. Shortly after midnight on October 27, 1940, on a southbound voyage to Seattle, the S.S. Alaska ran aground at full speed on the rocky shores of Elliott Bay between Ketchikan and Prince Rupert, British Columbia. The captain feared a puncture in the ship’s hull, and ordered the 278 passengers ashore. 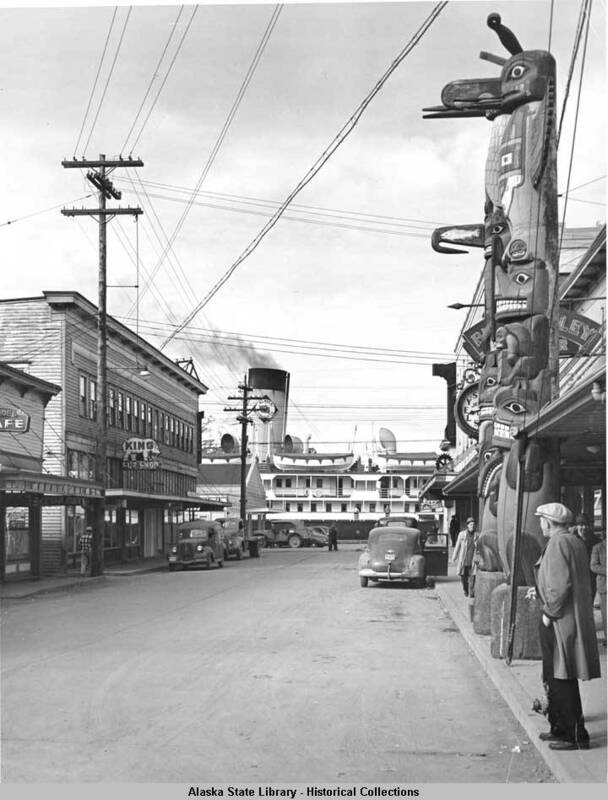 After the passengers evacuated into lifeboats, the S.S. North Coast brought them to Prince Rupert. The ship was re-floated two days later, inspected at Kennedy Island, and arrived in Seattle under its own power on November 1st. The company’s rapidly growing prominence in the shipping industry continued in 1930 when it purchased the Pacific Steamship Company. The federal government took control of the company’s fleet of fifteen vessels during World War II. After World War II, the Alaska Steamship Company was slowly driven out of business due to the end of federal subsidies, rising fuel and labor costs, and new competition from the trucking industry and cargo airlines. In an effort to reduce costs, the Alaska Steamship company started implementing tugs, barges, and container ships. These allowed for smaller crews, faster loading and unloading, and less damage to the cargo. Unable to compete with faster, cheaper air service, the company discontinued passenger service altogether in 1954, though by then it had established itself within the container ship industry. Despite these efforts, the Alaska Steamship Company shut down in January 1971. Rotarians aboard S.S. Alaska. At dock in Ketchikan with The Key to The City, circa 1932. Previous: Cruise and Liner History – What happened to the Passenger List?